LGC Capital aims to secure one of the largest accumulations of cannabis plantations in the world and is actively looking to invest in companies and facilities to this end. LGC Capital Ltd is a globally operating investment firm with the ambitious aim of having a footprint wherever cannabis has been or is in the process of being legalised. 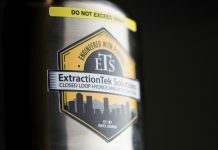 Founded in 2004, the company is actively seeking to invest in legal medical cannabis companies and facilities that allow for the large-scale cultivation and production of cannabis-based products. A growing body of evidence supports the idea that cannabis has multiple therapeutic benefits. Research suggests that cannabis can help to alleviate chemotherapy-induced nausea, manage chronic and neuropathic pain, control MS-related spasticity, reduce epileptic seizures, and relieve anxiety. The beauty of cannabis is that all it is doing is simply supplementing the body’s natural endocannabinoid system, which plays an important role in pain modulation, movement control, memory, and the adaptability of the nervous system. 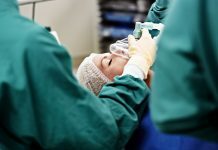 More and more countries are waking up to this therapeutic potential: in November, the UK formally allowed doctors to prescribe medical cannabis to their patients, putting it alongside other European countries to have legalised for medical use like Germany, Poland and Greece. In 2017, Lesotho became the first African nation to legalise the cultivation of medical cannabis, while in the US, 33 states now permit the legal use of cannabis for medical purposes. 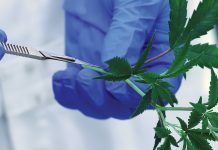 Growing recognition of the therapeutic benefits of cannabis and derived products, and increasing support for legalisation, has translated into big business: market intelligence firm Prohibition Partners puts the European cannabis market at €115.7bn by 2028, with medical cannabis accounting for close to half of this (€55.2bn). In just six months, the European cannabis industry has grown more than in the previous five years, patient numbers have increased by 40% month on month, and over €150m has been invested in the European industry alone. The picture is much the same in the US: cannabis is the fastest growing consumer product in North America, and regulated markets in states such as Colorado, Oregon and Washington have reported annual compound growth of almost 40% since 2012. In Canada, which has legalised cannabis for both medical and recreational purposes, investment dealer Eight Capital has estimated the market size at $10bn (~€7bn) by 2024. Taking advantage of this exceptional growth is LGC Capital, who are now searching for exciting new opportunities in which to invest. 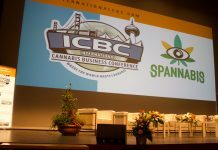 It is primarily interested in opportunities that will enable the production of large-scale cannabis farming at the lowest possible cost while at the same time providing the much-needed working capital for companies to build their farming and production facilities to meet the increasing demand for cannabis products. The company’s specialty is early-stage investments, and it looks forward to actively and rapidly adding new investments to its growing global portfolio. LGC Capital aims to secure one of the largest accumulations of cannabis plantations in the world. Its goal is super low-cost production across vast acreages so that it can be a major supplier to licensed processors and end users. By being a global player, the company can cross-pollinate each company’s bespoke growing, processing, logistics, marketing and distribution skills from people who really know their science. Its existing investments are listed below. LGC Capital has significant interest (14.99%) in Little Green Pharma, the only approved producer and distributor of Australian-grown medical cannabis for a global market. 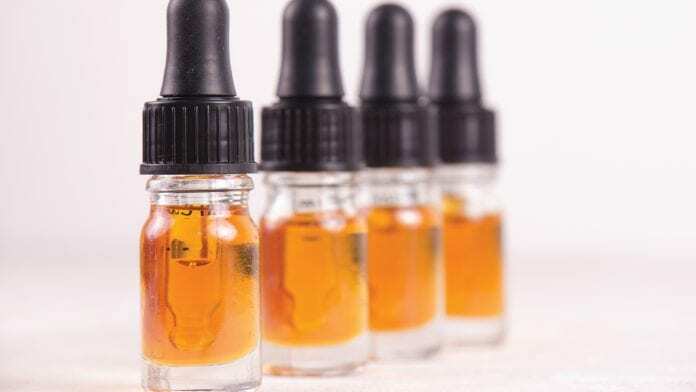 As of October 2018, Little Green Pharma is on its third cultivation of medical cannabis from its facility in Perth, and its cannabis oils are currently being sold in pharmacies across the country. ONE Premium Cannabis – a collection of in-house varieties of superior CBD strains, uniquely chosen for their exquisite combinations of flavours and diverse range of terpenes. LGC Capital last year announced that it had entered into a formal definitive agreement to acquire 47% of EasyJoint Project SRL. EasyJoint is recognised as the market leader in Italy, where it controls approximately 85% of the distribution of legal ‘cannabis light’ retail products. The company sells its products in more than 450 retail points of sale and has already opened 11 franchise stores across Italy, with two more under discussion. 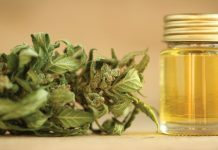 Also in 2018, LGC Capital formally closed a transformational investment in Global Canna Labs Limited (GCL), a Jamaican-based licensed producer of medical cannabis. 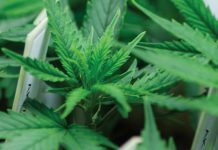 GCL recently received full approval for a Tier-3 cultivation licence from the Jamaican Cannabis Licensing Agency, which will allow it to cultivate medical cannabis at its 270,000 square foot facility in Montego Bay. Mary Jane and contain various ingredients, seeds, extracts and terpenes from hemp and cannabis plants. In January 2018, LGC Capital entered into a $4m secured debenture with Canadian medical cannabis company Tricho-Med Corporation, whose processing facility is expected to be one of the first enclosed multilevel medical cannabis producers in Quebec. LGC Capital is currently in the stages of investing in the Italian legal cannabis producer Evolution BNK, which owns a 70,000 square foot greenhouse in Sanremo and a 20,000 square foot propagation and research facility in Pavia, where it focuses on incubation, genetics and seeds. Its main focus lies in distributing cannabis light CBD products to the B2B market in Italy and Europe. Thanks to these investments, LGC Capital now boasts a global presence in six countries and brands across four continents. Its production capacity stands at an impressive 450,000 square foot of planted cannabis in Jamaica, Switzerland, Australia and Italy – and it has big plans for expansion. By 2020, LGC Capital expects its total production capacity to reach more than two million square foot. The management team behind LGC Capital is ideally suited to reaching this target, between them boasting over 50 years’ experience in capital markets. John McMullen, a widely recognised cannabis industry thought leader and enterprise builder, joined LGC Capital as CEO in February 2017, after advising the company since its listing on the TSX Venture Exchange. Working alongside him are vice-president of corporate development Daniel Lubienietzky, former director of business development at licensed cannabis producer TerrAscend Corp., and chief financial officer Anthony Samaha, whose experience includes more than ten years with international accounting firms and various executive management roles with AIM and TSX-listed ventures. The most recent addition to the team is COO Remy Di Meglio, who came on board in 2018 after 20 years at British American Tobacco. He brings with him a wealth of experience in marketing, sales and distribution at the multinational corporate level. LGC Capital has the expertise, the insight and the ambition to exploit the explosive growth in the cannabis industry and become a world leader in cannabis production and distribution. To find out more about how its business can help yours, contact LGC Capital via the information below.